Kinsta is one of the most unique web hosts that offer managed WordPress services. Their service is highly personalized, and it’s very obvious from their website, that a lot of thought has gone into their platform. In this Kinsta review, we’ll look at prices, customer service, frequently asked questions about Kinsta, and what makes them unique. Does Kinsta Have Coupons and Discounts? Unlike other hosting providers and managed WordPress services like WP Engine, Kinsta doesn’t provide any coupon codes or explicit discounts. However, if you sign up for their yearly plans, you get 2 months free on a recurring basis! This actually nets you some quite nice savings in the long term. Other hosts give you a huge discount for the first year of hosting, but they charge you the full price for each successive billing cycle. Kinsta gives you 2 months free for each year that you stay with them. That’s a recurring 17% discount each year! So if you’re planning to stay for a long time, Kinsta might actually be cheaper than other providers who give you a lumpsum discount at sign up. However, these are not the locations of its datacenters. More on that below. The founder and CEO of Kinsta is Mark Gavalda, and he quit his job a year after founding Kinsta, to dedicate himself to it full time. Kinsta has a core management team of 6 people. This is for their office in Los Angeles. Here are some common questions about Kinsta. Where are Kinsta’s Datacenters Located? Unlike traditional web hosts, Kinsta uses the Google Cloud Compute engine for its underlying infrastructure. This allows is to offer a staggering 17 locations worldwide for its WordPress hosting. Compare this to WP Engine, which only offers 3! You should choose the one that’s closest to you geographically. However, if you’re in Asia, I suggest you choose Singapore instead of any other. It’s far better than the other options! Does Kinsta Have a Money Back Guarantee? Yes. Kinsta’s money back guarantee is 30-days from the initial sign up. During that time, you can upgrade or downgrade your plan as many times as you like. The entire amount will be refunded to you in case you decide to pull out. In addition, they offer pro-rated refunds for any unused time on your hosting payments. Say you sign up for 1-year, and then leave after 7 months. You’ll get a refund based on the pro-rated amount of time you have remaining. How to Contact Kinsta Support? You can contact Kinsta support via their live chat/ticketing system. They use a system called intercom to merge live chat and ticketing, and they specifically don’t offer phone support. From personal experience, I agree with them. I would much rather have a text conversation on the record, where there’s no doubt about who said what, and when. I also know that sharing screenshots and error messages is vital to getting a problem resolved quickly. Kinsta’s insistence on this form of support is perfectly understandable, and I wished more hosts used it! What Are the Timings for Kinsta’s Support? Kinsta support is available 24×7. Unlike some other hosts that only take your live inquiries on weekdays during office hours (like Hostgator India), Kinsta staff will address your queries at any time of the night or day. This makes them a truly global hosting company, taken together with their extensive datacenter locations. Is Kinsta Worth it? Why is it So Expensive? It depends on who you compare them to. If you compare Kinsta with regular shared hosting providers like Hostgator, GoDaddy, or even SiteGround, then yes – Kinsta is expensive. If the cheapest web hosting is what you’re looking for, there are plenty of other options. However, if you compare Kinsta to dedicated managed WordPress providers like WP Engine, they’re not expensive at all. In fact, they’re a bit cheaper! So the question about why Kinsta is expensive, depends on where you’re coming from, and what you’re using as a reference point. First, customer support. I’d written earlier about how good customer support is expensive. Kinsta staff are available all the time and are very knowledgeable about WordPress. That kind of support is expensive to maintain. If you expect a smooth WordPress hosting experience, with no downtime and quick resolution for your problems, then it’s worth it. Second, Kinsta is very clear about the infrastructure it runs on. They don’t offer shared hosting, where you literally share your resources with many hundreds of other users. Each hosting account has its own container. In fact with Kinsta, each website on your hosting account has its own container! That means you don’t share your resources with anyone else. Other providers with shared hosting are able to get away with lower prices because they’re counting on most of their customers to not use too many resources. Amongst shared hosting providers, only SiteGround is 100% transparent, but it’s still shared hosting. Kinsta is not shared hosting. And that’s the difference. Along with the customer service, these are the reasons why Kinsta can look expensive. Does Kinsta Ban Some WordPress Plugins? Yes, Kinsta has pretty tight restrictions on what plugins you can use on your sites. And this is a key difference between shared and managed WordPress hosting. A shared host won’t care about what you install, as long as you don’t use up too many resources. Kinsta however, bans a bunch of plugins because they conflict with native Kinsta management. Also because some of them use up a lot of processing power on the server. Which Plugins are Banned on Kinsta? Backup plugins like Updraft, and Caching plugins like WP Super Cache do stuff that Kinsta already takes care of on its own, as part of WordPress management. Security plugins also fall under this category. This duplication is a waste of CPU resources and can also conflict with what Kinsta does. Plugins like certain image optimization plugins run CPU heavy scripts on the local server to reduce the image size. Kinsta forbids these plugins. Image optimization plugins are fine if the workload is outsourced to a third party. Certain social media plugins also fall under this category like Facebook Instant Articles and Google AMP Pages. You can get the complete list of banned plugins here. Does Kinsta Automatically Cache my Site? Yes. Kinsta has its own solution, so you don’t need to install any caching plugins of your own. See below for more details. Does Kinsta Store Backups of My Site? Yes, Kinsta takes extensive backups of your site on a daily basis. You can also take manual backups, and hourly backups are available for a fee. See more details below. Kinsta is absolutely packed with special features that set it apart from its competitors. You won’t find most of these on regular hosting plans. And many of them are exclusive even amongst managed WordPress plans! Kinsta’s hosting is based on the Google Cloud Compute platform. As a result, it’s able to offer hosting in more geographical areas than any other web host. Most providers offer a maximum of 3-4 locations. Some of them even have datacenters in Asia. Kinsta however, outstrips them by far. See above for a complete list of locations. That’s pretty amazing. If you factor in the cost of regular CDN services, Kinsta becomes noticeably more cost effective than other options! WP Engine for example, also has a free CDN tier, but only for their premium and enterprise plans. 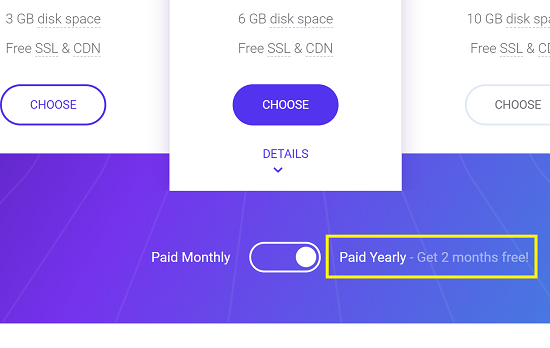 Kinsta offers a free CDN with every plan! NGINX is gaining popularity over the Apache web server for high-performance sites. It does exceptionally well for sites with a lot of static content, and most high traffic sites now use NGINX. It also acts as a reverse proxy. Kinsta’s use of NGINX shows that they don’t use a run-of-the-mill server environment found on most shared hosts. Kinsta automatically stores cached versions of your pages for 1 hr. This dramatically reduces the load on your server. The caching is controlled by the mandatory Kinsta plugin, and you can use the dashboard for clearing your cache in case you want to make live changes to your site. This means you don’t have to install your own caching plugins like WP Super Cache or W3 Total Cache and configure them. Everything is optimized right out of the box. Kinsta’s free backups are awesome! By default, Kinsta takes a daily backup of your site and keeps it for 14 days. In addition, you can also take manual backups and restore them with the click of a button. If you want an even higher frequency, Kinsta allows you to purchase backup options every six hours, and even every hour! You can also create a single downloadable backup of your site every week. This allows you to maintain a local copy of your site to store wherever you want. It’s also the reason why Kinsta doesn’t allow any backup plugins. These tools basically duplicate existing functionality, and waste server resources. Many web hosts wait a long time before updating their environment to support the latest PHP versions. There are good reasons for this. They want to wait till all the bugs are sorted out. Since support is expensive, they don’t want to deal with the host of incoming complaints in case something goes wrong. Kinsta however, doesn’t worry about this. Their business model allows them to deal with customer support issues when they arise. So they quickly roll out later versions of PHP and other software. This has a significant impact on performance. PHP 7 is more than twice as fast as PHP 5.6, and uses 30% fewer resources. Bottom line: Your Kinsta sites will often be faster than the competition who will still remain on older technology. Instead of the regular cPanel, Kinsta has developed its own dashboard called “MyKinsta”. It’s uniquely geared towards WordPress management. Most people don’t need the full power of cPanel anyway. This is why companies like Bluehost have redesigned their dashboards to make it simpler for regular users. Even though Bluehost keeps cPanel as an option. The MyKinsta dashboard makes it significantly easier to perform regular WordPress tasks like backups, staging, and to check your resource usage. To start with, the frequent Kinsta backups ensure that you can always restore your site in case something goes wrong. But more importantly, Kinsta deploys a range of security measures including 2-factor authentication, hardware firewalls, and others to keep your sites safe. Their site isolation technology ensures that you can’t be compromised by malicious activities on another site – either your own, or those of someone else. They also don’t host sites using unsupported versions of software that don’t receive security updates. All this combined helps keep attackers at bay. However, in the event that your site is hacked, Kinsta support will work with you to clean your installation for free! Kinsta is totally dedicated to WordPress. Every feature of theirs is carefully thought out and fine-tuned to extract maximum performance. It’s true that they have quite a few restrictions – like banned plugins. But they do this to preserve your site speed and they always offer drop-in replacements of their own. It’s more expensive than shared hosting – a lot more. This is due to the fact that your sites don’t share resources with anyone else. There’s no overselling. Their customer support is always available around the clock and staffed with knowledgeable WordPress experts. That kind of service isn’t cheap, and Kinsta’s prices are actually quite affordable when compared with similar competitors in the same niche. If your priority is a stable, smooth, and fast WordPress website, then Kinsta is the perfect choice for you.